The Orlando Magic have signed free agent forward Amile Jefferson to a two-way contract. Orlando, FL – The Orlando Magic have signed free agent forward Amile Jefferson to a two-way contract, President of Basketball Operations Jeff Weltman announced. Per team policy, terms of the deal are not disclosed. 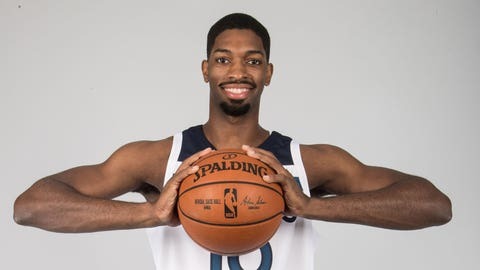 Jefferson (6’9”, 222, 5/7/93) played in 47 games (46 starts) last season with the Iowa Wolves of the NBA G League, averaging 17.8 ppg., a team-high 12.8 rpg., 2.5 apg. and 1.00 stlpg. in 34.8 minpg., while shooting .626 (335-525) from the floor. He recorded an NBA G League-record 36 double-doubles. Jefferson was named to the All-NBA G League Second Team, the NBA G League All-Defensive and All-Rookie Teams. Not drafted by an NBA franchise in 2017, Jefferson played 150 career games at Duke University from 2012-17, averaging 7.2 ppg. and 6.3 rpg. in 22.3 minpg., while shooting .620 (426-687) from the floor. His 150 games are the most played in Duke history and tied for the seventh most all-time in NCAA history. Jefferson helped the Blue Devils capture the 2015 NCAA National Championship. Duke went 124-26 when he played, giving him the third-most wins in program history. At the end of his career, Jefferson also ranked second on Duke’s all-time list in field goal percentage, third in offensive rebounds (361), seventh in blocked shots (138) and 11th in rebounds (944). Per NBA rules, teams are permitted to sign two players to two-way contracts in addition to the 15-man regular-season roster. A two-way player for Orlando will provide services to the team’s G League affiliate – the Lakeland Magic – but can spend up to 45 days with Orlando, not including any time prior to the start of Lakeland’s training camp and at the conclusion of their season.